This is the place to call if you are looking for a Gas safe registered Commercial Plumber Manchester. If you are unsure as to whether there is a fault with your boiler or not it is still best to call us. We will come and look at it and find any faults for FREE. If we do find a problem, we will be happy to discuss prices with you, then. We’ve all experienced time without heating or hot water in the winter when the system has gone down. In the midst of the coldest months, it is the last thing we need. This is why Direct Gas and Heating Manchester recommends that you have your Commercial boilers serviced at least once a year to eliminate any problems. We are a team of experienced and qualified Commercial plumbers and industrial heating specialists that will diagnose the fault with your boiler or heater, and repair it the same day. 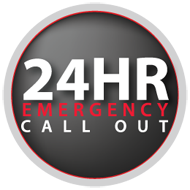 If we need to order a part, we will have you up and running again within 24 hours. If you happen to be a business owner, the comfort of your building is a primary factor for you. It’s is imminent that everyone inside your building – including your staff and employees, are provided with conform and safety. Industrial Heating has more benefits to it than it may seem. While it’s going to provide the inmates of the building with warmth and comfort, it’s also going to equip them with the perfect environment and hence maximize their productivity. At Manchester Plumbing and Heating, we believe in making sure that our clients get a service that is quick and efficient. This is why we’ve decided an intelligent and cost effective approach towards Industrial Heating Installation Services. Our team has the right amount of skills, experience and knowledge and will help you acquire a high quality industrial Heating system in your building – one that is designed intelligently enough to be extremely reliable as well as not too heavy on the pockets! By delegating within our team and dividing roles efficiently, we will make sure that you’re able to receive a quick and efficient service for your Manchester building. Commercial Boilers are significantly costly to maintain – and can go stale over time of not pushed to their maximum performance level on a regular basis. If you’re looking to level up your commercial boiler – be it better output or more power, or just want repair any damage to your system – we’re here to help you figure out an efficient and sustainable solution. Heating Systems are an integral part of your house, and must be looked after cautiously in order to keep your house safe and also achieve maximum efficiency as well as value for your money. In the business world, repairing and maintaining boilers is an even bigger issue that will cost you way more than you can imagine. At Manchester Plumbing and Heating, we believe in providing our clients with the Boiler Services they deserve. Our services can make an evident and noticeable change to your boiler performance while also maximizing boiler safety in the long run. With an extensive experience in the industry, our team knows exactly what your boiler requires. We are here to ensure that your boiler increases in power as your monthly expenditure also decreases. 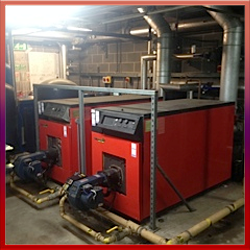 Whatever it is your commercial boiler needs, we’re here to provide and make sure that it reaches its peak efficiency. A boiler breakdown is always a disaster for you, especially in the winter months – be it within your business or inside your house. If you’re running a hotel, for instance, the last thing you want is your guests running out of hot water on a chilly December night. This is why we’re here to help you keep your boiler running efficiently and making sure that there is never a disruption to your business due to your boiler. If your boilers are in use on a consistent or a semi-consistent basis, we suggest that it is serviced at least once every year in order to clean off the rust before it even settles – that is, to repair anything that’s wrong before it turns to a hefty bill as it piles up over the years. At Manchester Plumbing and Heating, we provide commercial boiler servicing at the most competitive rates. 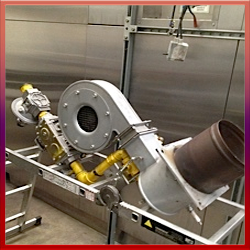 Our team of plumbers are highly qualified, skilled and experienced when it comes to repairing commercial boilers. We offer our low cost services and high quality services to all residents of Manchester. Be it your warehouse, factory or office, our team will arrive on site and carry out elaborate checks on your existing boiler system before proposing an extensive boiler servicing strategy. We also offer a 10 year guarantee on your gas boilers. If anything goes wrong with our equipment, we will make sure to rectify the problem responsibly, quickly and efficiently. 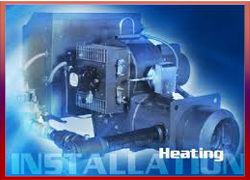 If your commercial boiler is ready for its annual service, contact us right away! If you happen to run a business but have based it in a building that looks worn and deteriorated, it’ll reflect badly on your reputation and can consequently lead to a loss of clients. At Manchester Plumbing and Heating, we provide our clients with a diverse and methodical repair and servicing contract. This leaves the responsibility of maintaining and optimizing the system within your building and hence keeps your building in safe and reliable hands. No more hassle and no more depending on a different repair team overtime something goes wrong! Get in touch with us today and we’ll give you a deal suited perfectly to your situation. There is no job too small for Manchester Plumbing And Heating, and our team is always on hands and happy to help. We have a great customer service and are always punctual, so we will never let you down. So, give us a call today or email us as soon as possible, and let us, help you get your boiler working properly and safely again.